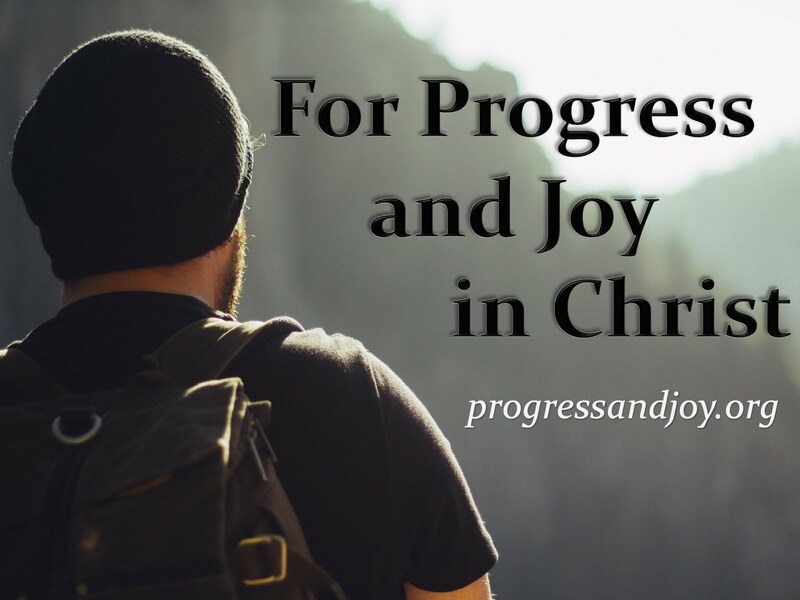 Progress and Joy: Ephesians 4:11-16 What is the Church? Did you know? . . . . The Tonle Sap River in Cambodia flows north for half the year, then south for the rest. For more than 3,000 years, carpenter ants have been used to close wounds in India, Asia, and South America. The typical lead pencil can draw a line that is thirty five miles long. Lighting flashes around the globe about 100 times per second or 8 million times per day. DID YOU KNOW . . . THE CHURCH WAS NOT HERE UNTIL YOU ARRIVED! Now, why would I include that last truth with those other wild and fun facts? We already know that we are the church. The people make up the church, not the building, or the property, or the website, or the technology. . . . We know that the church is the people, but I am convinced that we do not usually think in those terms. Today, I would like to talk a little bit about the church: what it is and what it is to be doing when it is gathered. We will do so from Ephesians 4:11-16. We will not be able to cover everything there is to be said about the church, but let's make some observations from this passage about the purpose of church leadership, the purpose of the gathered church, and what it is to be a properly functioning and healthy body. To find out who the “He Himself” is we must look back to verse seven, and we realize that verse eleven refers to Christ. Christ gifts the church with leadership. Notice that the church does not decide how the leadership is to be structured. Christ has decided how He wants His church to be led, and He has given men to do certain tasks. I am overwhelmed by the provisions of God. Do you realize that God will give you everything you need to follow Him? When He says, “Abide in Me,” He goes on to say, “I will abide in you.” When He says, “Endure until the end,” He also says, “I will not give you more than you can bear.” When He says, “Work out your salvation with fear and trembling,” He says, “It is Me who works in you.” And the list can go on and on. How is this related to verses 11-12? Christ wants His church to be equipped for works of service, so He gives certain leaders to do the equipping. Apostles: “Sent ones.” The unrepeatable foundation of the church. The men who established doctrine. Uniquely inspired to write holy Scripture. There are no more Apostles today. Prophets: In the NT age they were primarily preachers. They declared what the apostles taught. They were a major part of the establishment of the NT church. Is there a prophetic ministry today? Possibly; but I do not think that the office of the prophet is active today. Evangelists: Church planters and missionaries. They declared the Gospel. We learn from the work of Timothy that they were also trouble shooters. Evangelists are active today. Pastor/Teachers: There are four groups of leaders in the passage grouped by the word “some” or maybe “the”: Some apostles, some prophets, some evangelists, and some pastor/teachers. This is the only place in the NT where the word “pastor” is used in the translation. Everywhere else the word “shepherd” is used. This word is equivalent to a few other NT words in English: pastor, shepherd, elder, overseer, and bishop. These all refer to the same thing. The function of the pastor is two-fold; it is to shepherd and teach. Some elders labor more on the governing side, while others labor more on the teaching side. The church needs both. I am a pastor/teacher. I am here to help shepherd the flock of God which, in this case, is specifically the Rural Hall Church of Christ. My job is to help lead and feed. I do so primarily through the exposition of Scripture. Why am I to do this? So that you are “equipped.” That word refers to setting something in its rightful place. It is to mend something. It is to provide what is needed. Christ wants you to collectively have all that you need – preparation, resources, encouragement, etc. – to do what He has called you to do. The “ministry” belongs to the church, and proper equipping will lead to proper service. Individually, we all have things that the Lord has called us to do, but the work of ministry belongs to the church, not only one person. I am a minister, and so are you! This refers to works of service. God has called us to do a variety of things, and we will talk about that a little more next week. Let me say this, Christ wants an every-member ministry. The elders and I have discussed how we must work together as a team to shepherd this congregation. All of you, too, must work together as a team to accomplish God’s commands for Christians and the ministry that He has entrusted to us. Not only does God want to use me to equip you, but He also wants to use me to “edify” you. This word, as many of you know, means to build up. It was used to refer to the construction of a house or building. It refers to development. Christ wants you to develop through the Word. Each Christian must grow up into maturity. There is nothing worse than a spiritually immature believer who has been a Christian for decades. But, an individual growing to maturity is not enough. Christ wants us to collectively come to maturity. We can grow in appreciation for the person and works of Christ best when we do it together. You can grow as a Christian best when you are growing with others. The word “perfect” can refer to: status, we are perfect in Christ; ultimate/complete sinlessness, which will only come at the end of the age; or maturity, which is to be sought after in this life. Christ does not expect you to be completely sinless as He was in this life, but He does expect you to become spiritually mature. Christ is the head of the body. When a baby is born the head is usually larger than the body. The body must catch-up to the head. It must develop; it must grow up into the head. The church is the same way with us as the body and Christ as the head. He has called us perfect, not we must become perfect. In verse 14, we have the same thing basically said in a negative sense. Christians are not to be spiritual children forever. We must become established, strong, and rooted. As Psalm 1 says, we are to be like a tree that is planted by the streams of water. That way, when the winds blow, and they will blow, we will not be tossed to and fro. We will not be carried away. This word is ready to preach another gospel to you, any other gospel to you, which is really no gospel at all. Satan wants you to believe anything but what Christ has said and done. To counteract this world and Satan himself, we must speak the truth, and we must speak it in love. Each part of the body must do its share for the body to function properly. An unhealthy situation occurs when some part is not doing what it is supposed to do. The Apostle’s discussion ends with the idea of love. Love is what covers a multitude of sins. Love is what is lasting. Love is the force behind all that we do as Christians. The church should not feel ashamed for seeking the best for its own. This is almost a foreign concept in the American church today. We think so much about what we need to do in our communities and not what we need to do when we gather. (1) Do you only view yourself as an individual or as a “part” of the church? In America, we have been taught since we were children that we have to look out for ourselves. We have to be independent. We have to beat out the competition. Yet, that is not what the New Testament teaches. We are each living stones being built together to create the spiritual temple in which the Spirit of God may dwell. (2) Will you commit to an every-member ministry as Christ desires of us? (3) Every Christian is gifted by the Holy Spirit to do something for the church. What are you good at? What do you like to do? Do that very thing for the church with all your might. *The church is called to gather and scatter.